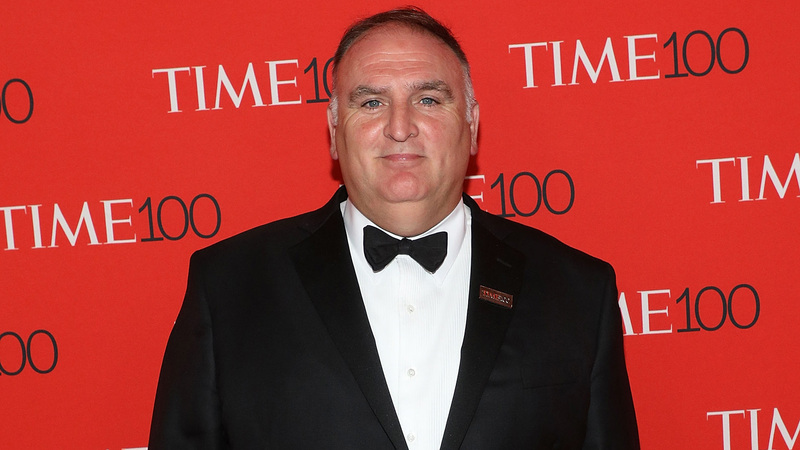 Chef José Andrés has plenty of accomplishments to his name: New York Times best-selling author, James Beard Award winner, humanitarian and one of Time’s 100 most influential people. And recently, the chef has been nominated for the 2019 Nobel Peace Prize, recognizing his humanitarian efforts. Last year, Andrés and his nonprofit, World Central Kitchen, fed hungry Puerto Ricans in the aftermath of Hurricane Maria, which devastated the area last September. Andrés was named the James Beard humanitarian of the year in 2017 for his work in Puerto Rico, but his efforts continue to be recognized, particularly by Rep. John Delaney (D-MD), who nominated the founder of WCK for the 2019 Nobel Peace Prize. According to Eater, Andrés and WCK did more to feed the Americans of Puerto Rico than any other single government or nongovernment agency. They served more than 2.3 million meals. He also took to Twitter, responding to entrepreneur, philanthropist, venture capitalist and sports team owner Ted Leonsis’ tweet congratulating the chef. Andrés founded WCK in 2010 following the earthquake in Haiti. They installed clean cookstoves in the region. “Shortly after the earthquake, I went to Haiti to assist in humanitarian relief efforts, and saw that the grinding poverty they live with day-to-day had been exacerbated by dirty cooking conditions in overcrowded and unsafe tent cities,” Andrés said in a press release in 2011 when the Global Alliance for Clean Cookstoves announced Andrés’ new role as culinary ambassador. Andrés and WCK would continue to return to Haiti. In 2016, WCK converted 50 school kitchens to propane stoves as part of their Haiti Breathes initiative and set out to build 40 new school kitchens by 2019, according to WCK’s 2016 report. Since Haiti, WCK has helped countless people across the globe, from the Dominican Republic, Nicaragua, Zambia and Peru to Cuba, Uganda, Cambodia and right here in the U.S. In 2017, WCK headed to Houston to feed people after Hurricane Harvey. Shortly after, WCK would head to Puerto Rico. Andrés is one of about 300 Nobel Peace Prize nominees, and the winner for 2019 will be announced next October. In the meantime, a huge congrats goes out to Andrés, WCK and the incredible work they’ve done to help people — and serve millions of meals — in times of crisis.